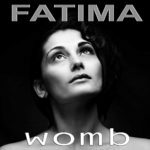 You can purchase my EP ‘Womb’ on Bandcamp and iTunes. My merchandize is also available for purchase on Bandcamp. In addition you can stream it on Spotify, iTunes and Amazon. My next project is called B•Earth (pronounced Birth) and it follows EP called Womb. These two projects follow my development as an artist. Consequently, they follow the path of an embryo in a womb and a child at birth. My hope for B•Earth is that it becomes more of the voice I hear in my head. Most of all, my vision is that the recorded music I release follows my own exploration of who I am as an artist. I’m excited to see what I come up with in the studio and how it all shapes into the album. Finally, I’d like to have 17 songs on B•Earth; therefore I have a lot more writing to do. Some of the songs I’ve written are on Soundcloud below. Check out my blog for inspiration on each song and signup for my newsletter to get updates on my progress.